Donna Chan is a real estate professional in the Greater Vancouver area. Prior to entering the real estate profession in 1992, Donna worked closely with new immigrants at S.U.C.C.E.S.S., which contributes to her ability to service clients from different cultures. As a result of Donna’s passion and commitment to excellence in the real estate industry, she was awarded the Medallion Club Award by the Real Estate Board of Greater Vancouver for realtors who are the top performing 10%. Donna also embraced her entrepreneurial spirit when she opened a business facilitating summer programs for international students who wished to study in Canada. Donna is fluent in Mandarin and Cantonese. Feel free to contact Donna and allow her to be your partner in buying or selling real estate. "Thanks again Donna for your help and dedication in finding us a new home. It was certainly a great difficulty in this busy market, and in a short period of time you were not only able to find us a suitable, but also an affordable home. We appreciate your time, and certainly with your amount of experience; indefinitely your service is of great value to any first time new home buyers. Your skills and expertise has successfully helped us find a new home, and we can now move forward being rest assured. I certainly will recommend Donna's service to all her prospects, as her extensive knowledge of all aspects of the real estate market makes her the top choice for her current and potential home buyers. Thank you again Donna." "It really was amazing how Donna was able to negotiate an acceptable price between the initial offer and the asking price. Thank you!" "Donna is honest and always working toward our best interest. My family and I are very happy of her excellence service. We highly recommend her to everyone I know." "We are very satisfied with Donna’s services as our realtor. She impressed us most with her diligence, understanding of our needs vis-a-vis the market, and prompt attention to detail. She deserves our highest recommendation." "Donna I would like to thank you and Ernest for all your help and professionalism in helping my mother find a suitable apartment in the location that she was looking for. You were both helpful and approachable and this made such a difference. It is challenging to find housing in this market. My mother and I were both pleased with you services. Thank you!" 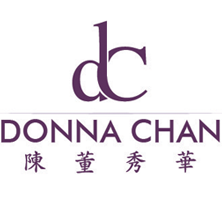 Donna Chan is a real estate professional in the Greater Vancouver area. Donna recognizes the importance of professionalism, integrity, and experience and strives to deliver services according to these values. Feel free to contact Donna and allow her to be your partner in buying or selling real estate.